Dr. Rick Halpern is a professor in the Department of Historical Studies, UTSC. 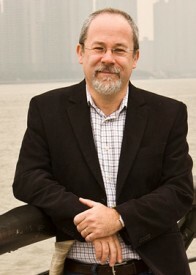 He is a social historian whose work has focused on race and labour in a number of national and international contexts. He has written about meat and meatpacking, sugar and plantations, and regionalism. Currently he is researching the use of photography in documenting foodways. He is the Bissell-Heyd Chair of American Studies and, until July 2015, was the Dean at UTSC. Prior to that he was the Principal of New College on the St George campus. Professor Halpern works with graduate students in a number of fields. Inventing Collateral Damage: Civilian Casualties, War, and Empire (Toronto: Between the Lines, 2009). “Documenting the Louisiana Sugar Economy, 1845-1917: An On-Line Database Project,” Journal of Peasant Studies 35:4 (October 2008). Labour Systems, and Workers’ Power” in Sugar, Slavery, and Society, Bernard Moitt, ed. (University of Florida Press, 2004). “Solving the ‘Labor Problem’: Race, Work, and the State in the Sugar Industries of Louisiana and Natal, 1870-1910,” Journal of Southern African Studies 30:1 (March 2004).